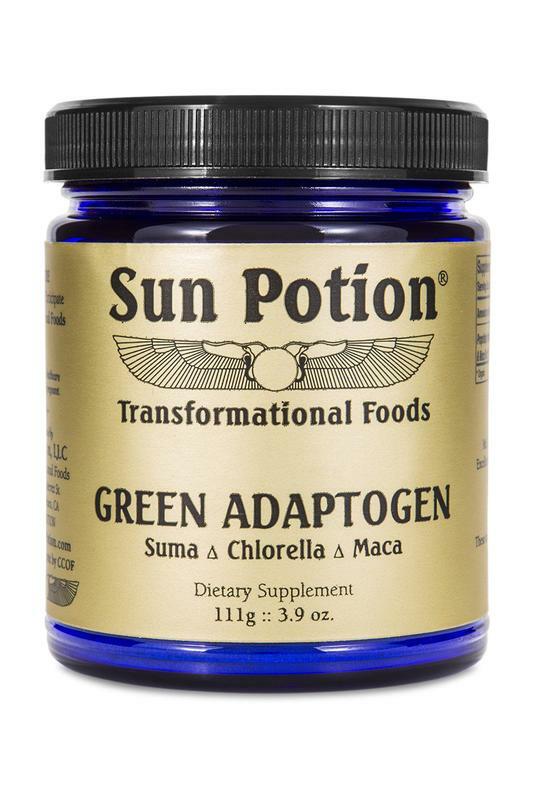 This signature blend Green Adaptogen is an activating and balancing blend of Suma, Maca, and Chlorella. 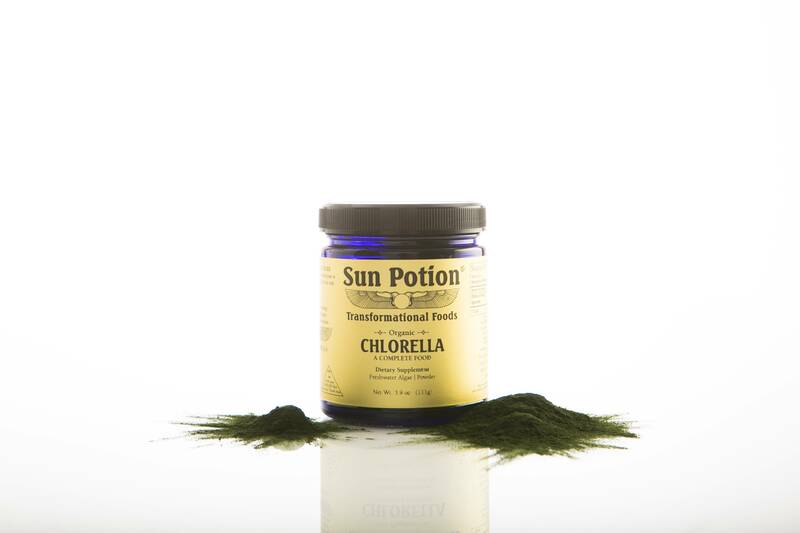 This combination of herbs is meant to: promotes energy levels strengthens the immune system functions promotes overall wellbeing. Suma is a Brazilian root known throughout South America as 'Para Todo' (meaning 'for everything'). It is the leading herb in this simple formulation. Suma may be used medicinally as an adaptogen, helping the body cope with stress, increasing energy levels, and increasing resistance to disease by supporting the immune system. Suma is also a natural source of electrolytes. Suma was widely used by Russian athletes in the 1970s. Suma root also contains saponins, which have been shown to be beneficial in off-setting abnormal cellular growth, as well as helping to regulate blood sugar levels and blood pressure. Finally, the nutritional properties of suma as a food have also been confirmed. Researchers have identified in suma root almost all the amino acid, many trace minerals such as iron, magnesium, cobalt, silica, and zinc, as well as vitamins A, B1, B2, B6, and E. It contains high amounts of the trace element germanium, which is a powerful immune stimulator. Maca is a Peruvian root that is rich in vitamin B12 and protein, which is very helpful for vegans. Maca also provides vitamins B1, B2, B12, C and E, plenty of calcium, zinc, iron, magnesium, phosphorous and amino acids. 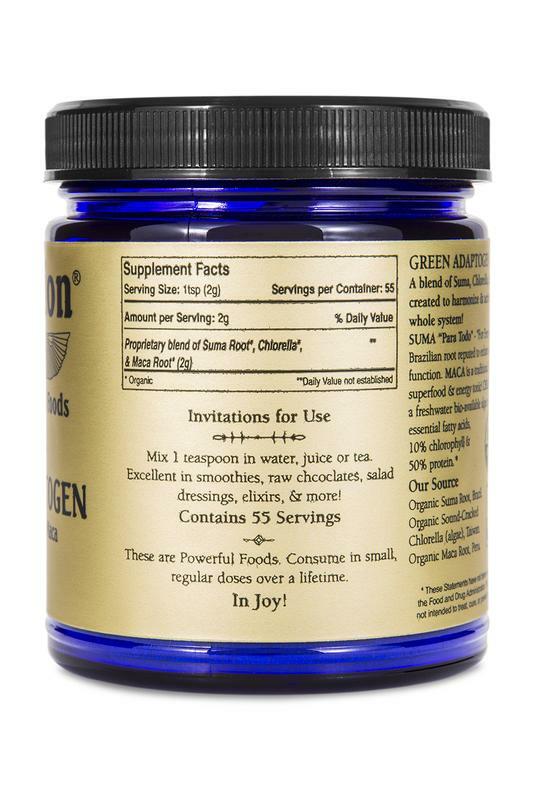 Within days of using maca, your energy level may increase. It is also known for increasing stamina. Many athletes take maca for peak performance. If you find yourself tired most of the time, experiment with maca to see if it helps. Just a small amount could be exactly what you need for a boost! Maca is widely used to promote the sexual function of both men and women, as it may serve as a boost to your libido and increase your endurance. Simultaneously, Maca may balance your hormones and increase fertility. For women, Maca relieves menstrual issues and menopause. It may alleviate cramps, body pain, hot flashes, anxiety, mood swings and depression (If you are pregnant or lactating you should avoid taking maca). 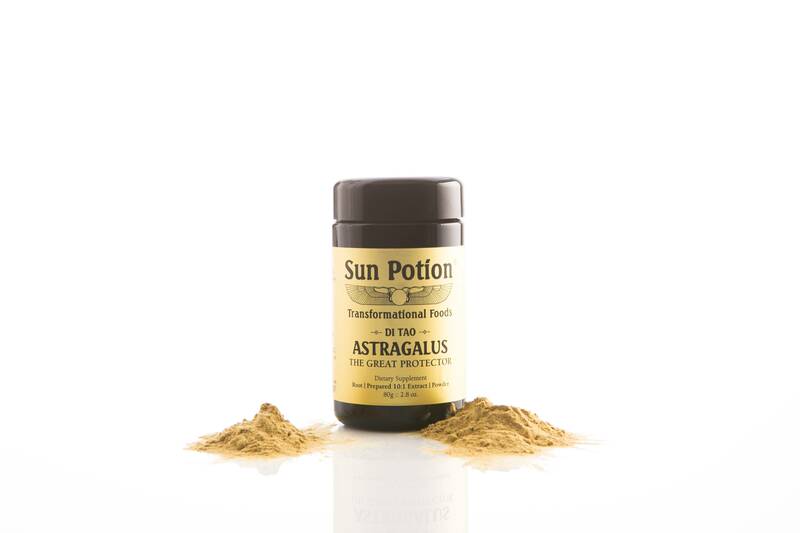 Maca may help your skin withstand extreme temperatures.